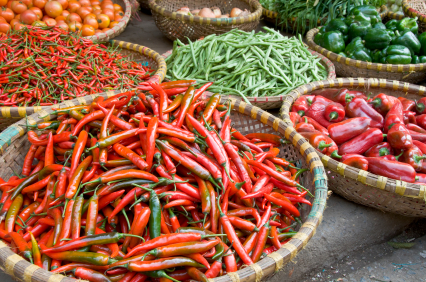 Event: Great Dorset Chilli Festival, a specialist food fair. Venue: Kingston Lacy park, Wimborne, by kind permission of the National Trust. Dates: Saturday 13th and Sunday 14th August 2011. The Great Dorset Chilli Festival is a hot weekend of chilli fiesta, with stalls selling all things chilli, from chilli pepper plants, seeds and sauces to stranger combinations such as chilli chocolate, chilli cider and chilli ice cream. For the milder palate we have some really exciting local food producers, from artisan breads to Dorset charcuterie, traditional ginger beer to watercress burgers, chutneys, jams, amazing cakes, marinated olives, spice blends, superb snacks and smoked seeds. Vibrant atmosphere, sublime cooking smells, bright colours, a real fiesta! The party has already started on our Facebook page! Chillies are a very fashionable ingredient due largely to celebrity chefs showing us all how to use them. Migration, cheap global travel and the breaking down of cultural culinary boundaries have all had an impact. 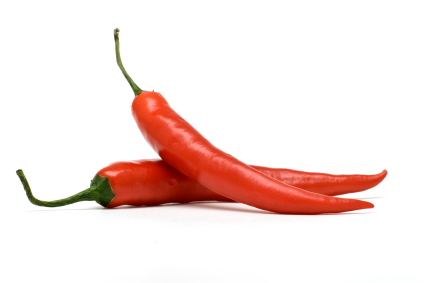 The development of the super-hot chilli, the Dorset Naga, has already put Dorset on the map for UK chilli enthusiasts.